Nestled in vibrant Anchorage, Alaska, the fabulous neighborhood of Spenard offers an excellent location, easy access to plentiful entertainment opportunities, beautiful residences, and much more. This gorgeous neighborhood was named after Joe Spenard, who owned a lumber camp. Today, this excellent neighborhood retains its unique identity while also offering all of the amenities of the surrounding area. Regardless of your interests, you will not struggle to find enjoyable activities to fill your free time. Exceptional Spenard, Alaska, real estate options are ready to pique your interest, so now is the time to think about what it would be like to live in this inviting neighborhood. When you are a resident of this friendly neighborhood, you will have plentiful opportunities to explore your interests. Whether you are interested in nature, the arts, nightlife, or something else, you will find ample opportunities to complement your favorite pastimes. For example, if you enjoy spending time outdoors, you will appreciate the close proximity of stunning parks and natural areas. During winter, you will also have to keep an eye out for the famed Northern Lights. If you are interested in the arts, you will appreciate splendid Spenard’s reputation as an arts hub. Poets, artists, and writers express their creativity in this exceptional neighborhood. Furthermore, this neighborhood also offers a great sense of community, and you will enjoy celebrating the neighborhood and its distinct identity at its annual Spenardi Gras celebration. When you are ready for a quick change of pace, simply head to dynamic Anchorage’s downtown to experience excellent restaurants, eclectic boutiques, fabulous cultural attractions, and much more. No matter where your adventures lead you, you can be confident that your fabulous Spenard, Alaska, townhome, condo, or single-family home is waiting for your return. A convenient location, wonderful community, beautiful residences, and astonishing natural beauty are only a few of the benefits of living in this incredible neighborhood. Attractive Spenard, Alaska, condos, townhomes, and single-family homes are waiting to impress you, and you are sure to find something that fits your style. 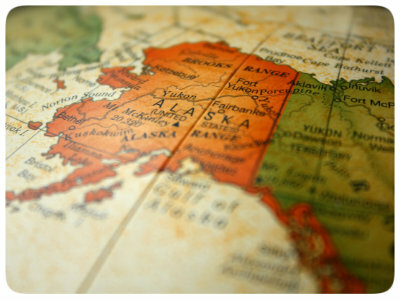 If you are ready for more information regarding stellar Spenard, Alaska, real estate options, please do not hesitate to contact us.